researcher, working with Dr. Jennifer MacKinnon as part of the Climate Process Team assembled to further understand global patterns of mixing due to internal waves. Amy received her PhD from the University of Florida in 2010 where she studied coastal physical oceanography. Combining both her pre- and post-doctorate research interests, Amy is interested in untangling how mixing by small-scale processes affects both regional and global patterns of mixing. 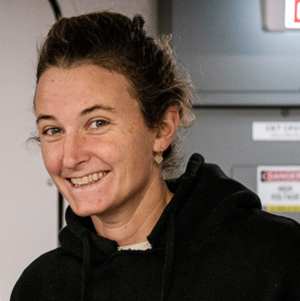 As a sea-going oceanographer, she has actively participated in field programs ranging from projects off the California coast, the Bay of Bengal, the equatorial Pacific and the Arctic.